There are a few misconceptions about punch. 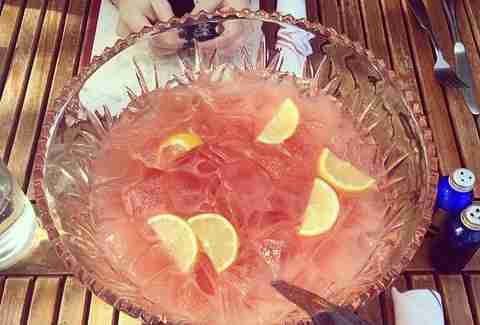 MYTH: Punch is a girly drink. FACT: Punch was introduced to England by sailors returning from India. SAILORS. 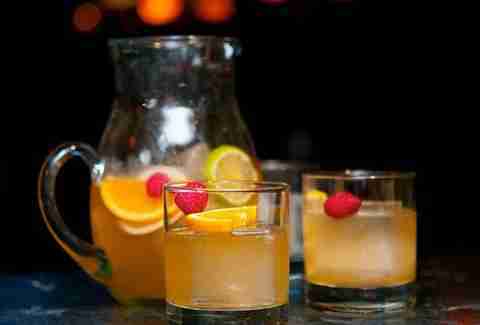 MYTH: Punch is bright red and is made with Everclear, Kool-Aid, and pineapple juice. 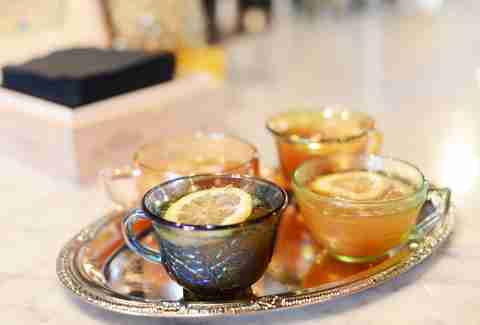 FACT: Traditional punch is made with five ingredients: alcohol, sugar, lemon, water, tea, and spices. These days, the ingredients vary, but the formula remains similar. MYTH: Punch is a summer drink. FACT: Rules were made to be broken. That's like saying you can't have whiskey or chili in the summer. Eh? Exactly. So, grab a couple of friends, head to one of these spectacular watering holes, and indulge in some old-fashioned revelry like a 17th century sailor. Punchbowl Social is new to North Austin with a killer menu and plentiful entertainment, like bowling, ping pong, shuffleboard, darts, billiards, and karaoke. Order a Bachelor's Bowl for your crew and you'll be delivered a concoction made with bourbon, blackberry-elderflower liqueur, mango black tea, lemon juice, and Simple Syrup. Sharing is caring! Take a seat at Pleasant Storage Room, Downtown's rum-centric, beautiful homage to Golden Age of Havana. 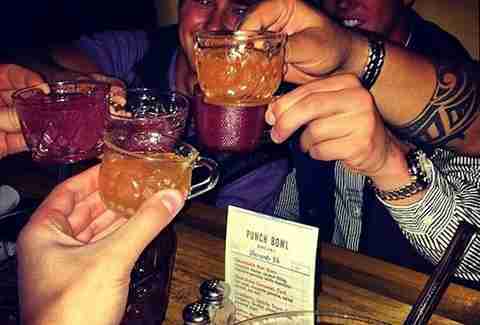 In addition to great food, be sure to check out the boozy and complex house-made punch. Try The Commodore (El Dorado 5-Year Demarara rum, VSOP cognac, Lustau East India Solera Sherry, caramelized black tea, fresh lemon juice, and lemon oleo-saccharum). 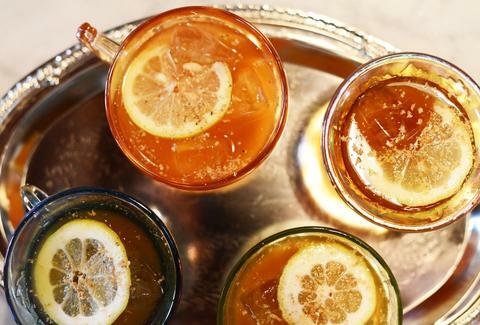 For a lighter take on classic punch, try Elizabeth Street Cafe's version. The Shady Blonde is particularly refreshing, made with sparkling wine, Lillet blanc, grapefruit, and thyme. This bright, bubbly concoction pairs well with their savory Vietnamese cuisine, and you can order a jar "to-go"! Eastsiders go nuts for Hillside Farmacy's vintage ambiance, oysters, and their house punch -- this version is a blend of gin, champagne, hibiscus syrup, and grapefruit juice, which gives it a juicy pink color. Available by the bowl -- but glasses are only $3 during happy hour! Midnight Cowboy is not only the reigning Dirty Sixth champ, they also make a mean house punch, perfect for sipping this winter in their shadowy digs. Try the Chatam Artillery; with a name like this, you should expect some friendly fire. It's a blend of pink wine, rum, gin, brandy, rye whiskey, Bénédictine, cherries, black tea syrup, orange, lemon and Prosecco. Want!